The best of us have experienced it at least once or twice in the past. Speakers have been perfectly placed; all the cables have been meticulously connected; each piece of equipment has been switched on. You hit play on the audio source. And then nothing happens. Whether related to recently installed components or if it's simply your regular system that had been working fine just yesterday, it can feel terribly frustrating when this happens. But don't throw that remote out of anger just yet. Take the opportunity to practice some troubleshooting skills. Troubleshooting a stereo system – similar to diagnosing why one speaker channel won't work – that is not producing sound begins by isolating the problem. The process can seem a little intimidating, but not if you proceed carefully and methodically to rule out each possibility. Quite often it can be the simplest, silliest reason (you might get a chuckle out of it later on) as to why the system stopped working or wasn't working from the get-go. The following steps help guide you through the common problems. Remember to always turn off the power to the system and components before connecting or disconnecting cables and wires. Then turn the power back on after each step to check for correct operation. 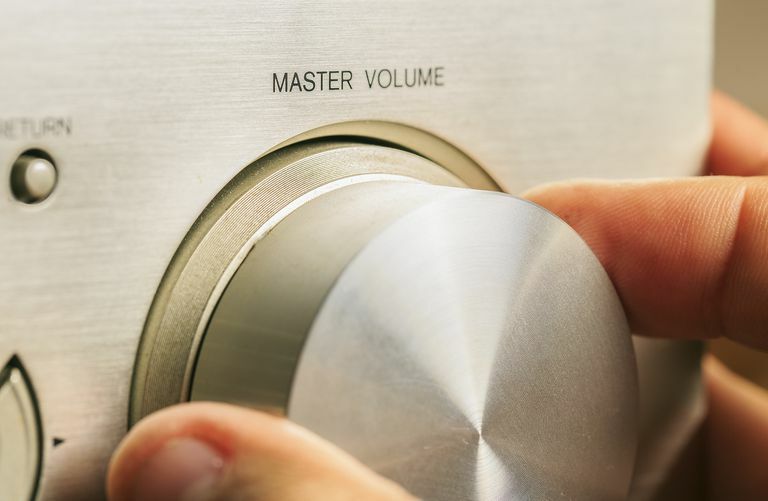 Leave the volume down low, lest you blast your ears once the audio is playing fine again. Check the power. This could seem like a no-brainer, but you would be surprised at how often this is the reason why electronics won't work. Make sure that all plugs are firmly seated in their respective sockets; sometimes a plug can slip out halfway and not draw power. Double-check that wall switches operating any outlets are flipped on (it's usually a good idea to connect equipment to outlets not toggled by a switch whenever possible). Confirm that all units (including any power strips or surge protectors) in the system are able to turn on. If something won't power up, test it with another outlet or socket that you know functions properly. If that also doesn't work, the equipment in question may require repair or replacement. Check the speaker/source selection. Many receivers have a Speaker A and Speaker B switch to toggle connected/extra speakers. Make sure that the right one(s) are enabled and check that the correct source has been selected, too. It's easily overlooked, but all it takes is an accidental bump or press of a finger on a remote to mix things up. Check the speaker wires. Inspect and test each of the wires leading from the receiver/amplifier to the speakers, paying close attention for damage and/or loose connections. Inspect the bare ends to ensure that enough insulation has been stripped off. Confirm that the speaker wire connectors have been properly installed and are inserted far enough to make good, steady contact with the speaker terminals. Check the speakers. If possible, connect the speakers to another known working audio source in order to ensure that they still operate properly. This is made simpler if the speaker(s) in question offer 3.5 mm and/or RCA connections (you'll need a 3.5 mm-to-RCA stereo audio cable) to plug into something convenient, such as a smartphone. If the speakers still won't play, they may be damaged or defective. If they do play, reconnect them to the system and continue. Check the source component(s). Test whatever source component(s) you are using (e.g., CD player, DVD/Blu-ray, turntable, etc.) with another working TV and/or set of speakers. If a source component still doesn't play properly, then your problem is most likely there. Otherwise, if all source components are good, connect them back to the original receiver/amplifier and set them to play some input. Toggle through each input selection/source on the stereo receiver/system (e.g., AM/FM tuner, 3.5 mm audio cable connected to a smartphone/tablet, digital input, video 1/2/3 inputs, etc.) one by one. If the receiver works with some input sources but not others, the problem could be with the cable(s) connecting the component(s) and the receiver. Replace any suspect cables and try the original component(s) again.